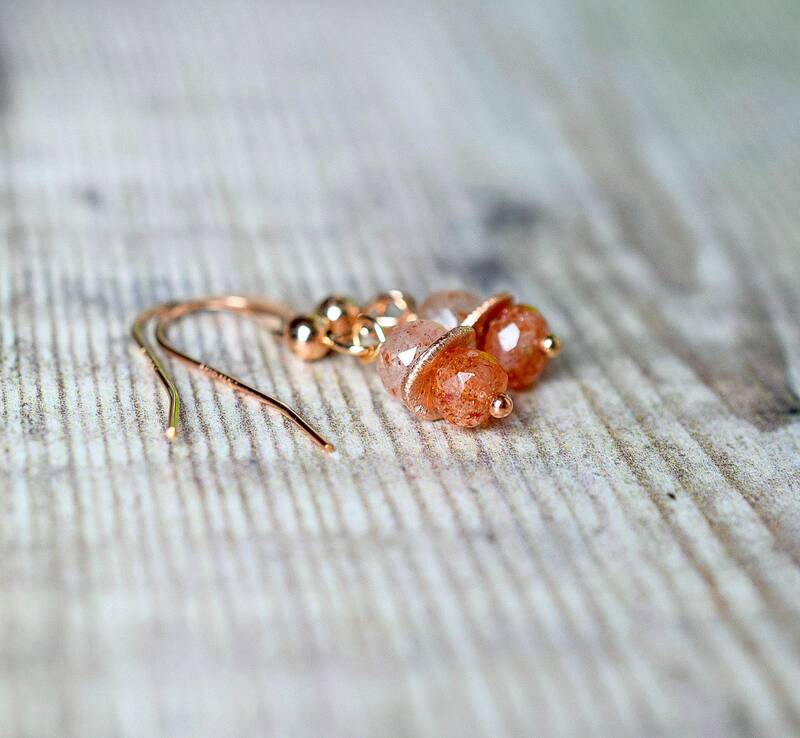 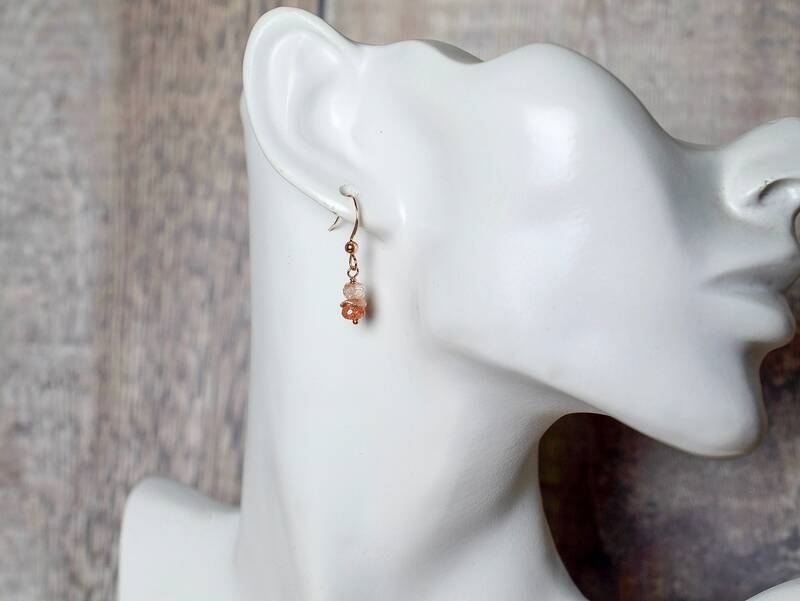 Be on trend wearing these gorgeous burnt orange Sunstone earrings! 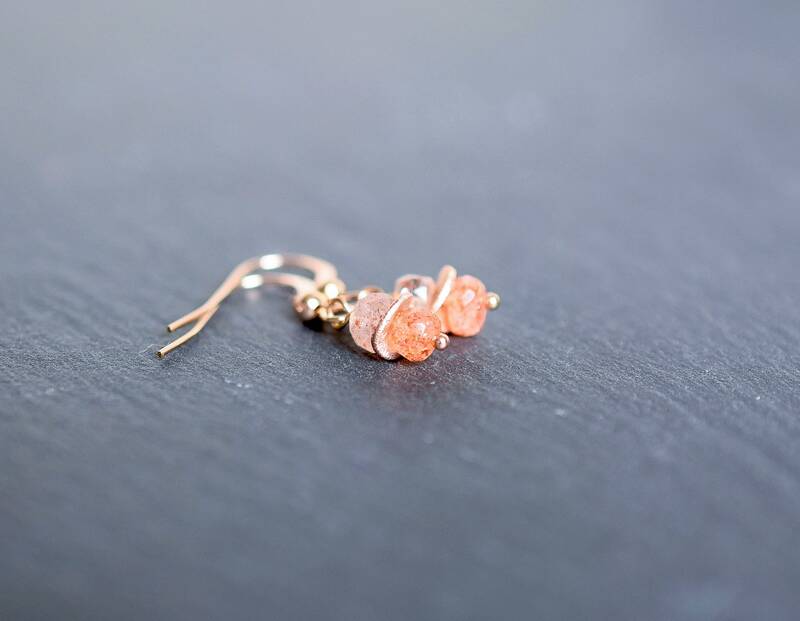 These gorgeous drop earrings are designed with Sunstone rondelles and paired with 14k rose gold filled ear wires. 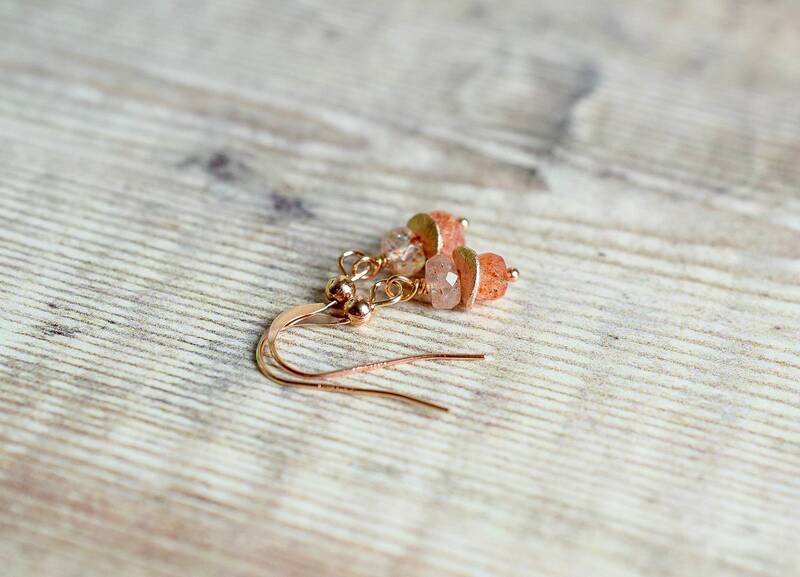 The shaded earrings feature both clear Sunstone gems with orange flecks & warm orange Sunstones with coppery flecks and are separated by a textured wavy disc in 24k rose gold vermeil (sterling silver dipped in 24k gold). 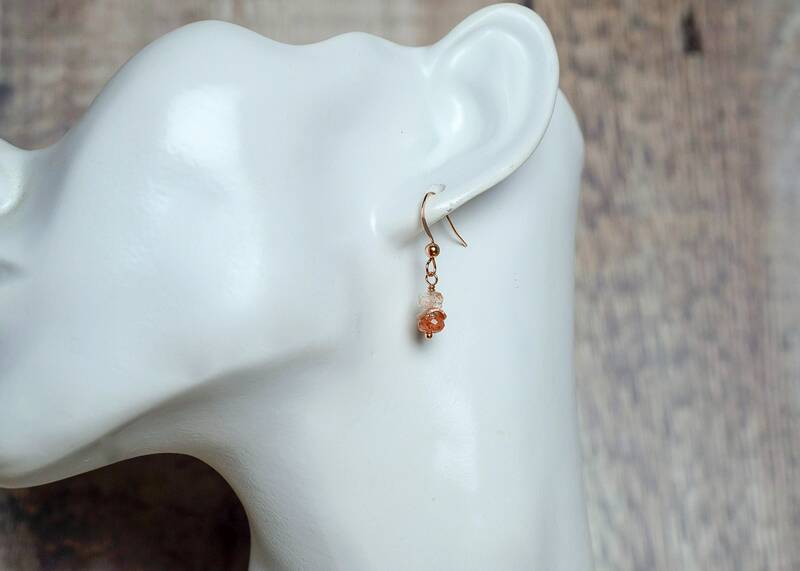 * The Sunstone gems measure 5mm. 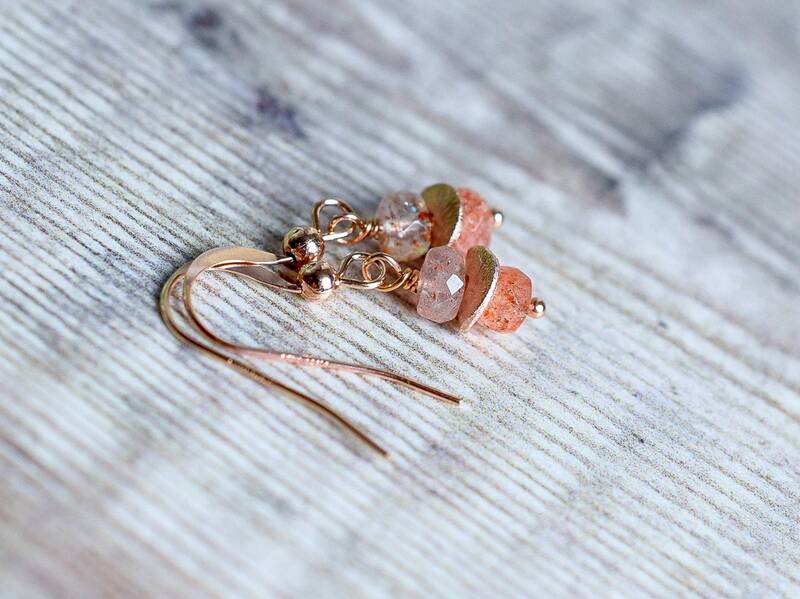 ✨ Sunstone is considered a stone of abundance. 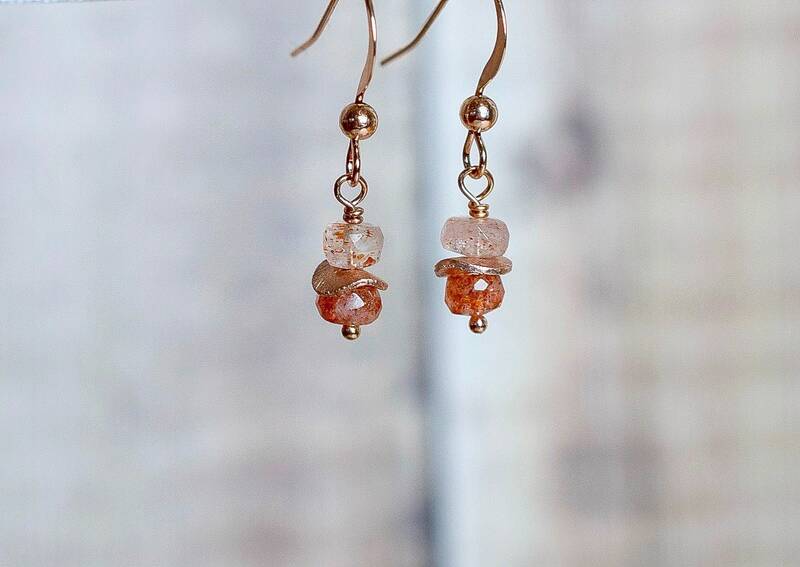 Sunstone is considered an excellent "good luck" crystal!